At Centreport Lake Luxury Apartments in Fort Worth, Texas, you will find an array of amenities and modern conveniences to suit your living needs. Our community is conveniently located near major highways and public transportation, shopping, dining and great entertainment. Our community is located just south of DFW International Airport, which is about three minutes away. Six Flags Over Texas, Hurricane Harbor, and the new Dallas Cowboys AT&T Stadium are all within a 15-minute drive. Trinity Railway Express is within walking distance, which can take you into downtown Fort Worth and downtown Dallas. The highways that are close by are Highway 360, 183, 121, and the George Bush Turnpike. Centreport Lake is within the HEB School District which includes the top rated Viridian Elementary, Euless Junior High, and Trinity High School. UTA is a 20-minute commute away, as well as Tarrant County College Southeast campus. Community amenities include two Luxury Resort-Style Pools with Sun Deck and Veranda, 24-hour State-of-the-Art Fitness Center, jogging trail, theatre room, and billiards table. Apartment amenities include chef caliber kitchens and high-end, upgraded stainless steel appliances, walk-in closets in every bedroom, wood blinds, full-size washer and dryer connections, and oversized roman tubs in master bathrooms. Plus, hardwood flooring throughout your apartment home is available upon request, please ask for further details! Choose from a variety of 21 spacious floor plans designed to accommodate your every need. We offer 1, 2, and 3-bedroom homes. We have both attached and detached garages and extra storage. Some of our layouts feature office nooks, kitchen islands, and roman style tubs. The floorplans range in size from 673 square feet to 1377 square feet. If you are looking to live near Euless or Irving, our apartment community may be right for you. 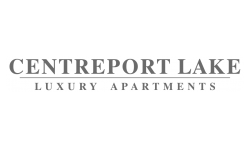 Give us a call and see why Centreport Lake Luxury Apartments in Fort Worth is the perfect place to call home!